Shuffle is off. 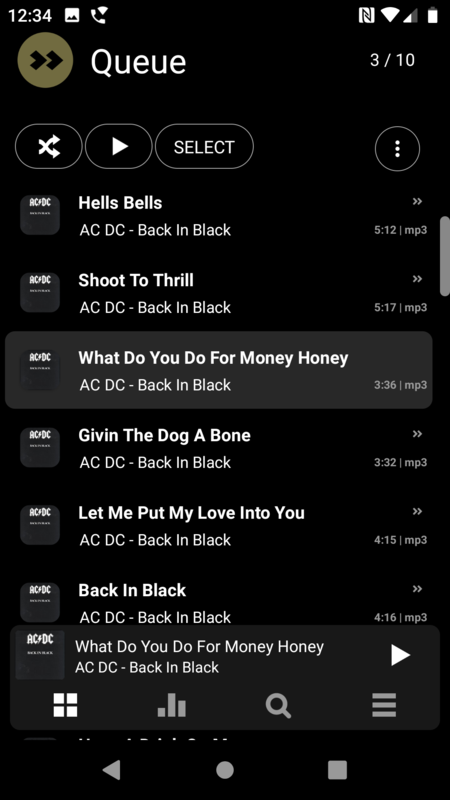 I believe that I've figured out the problem of putting an album in the Queue and having it start on not the first song of the album. If I'm playing from the Queue and decide I'm done on song of 3 of 10 and then clear the Queue it will show 3/0. 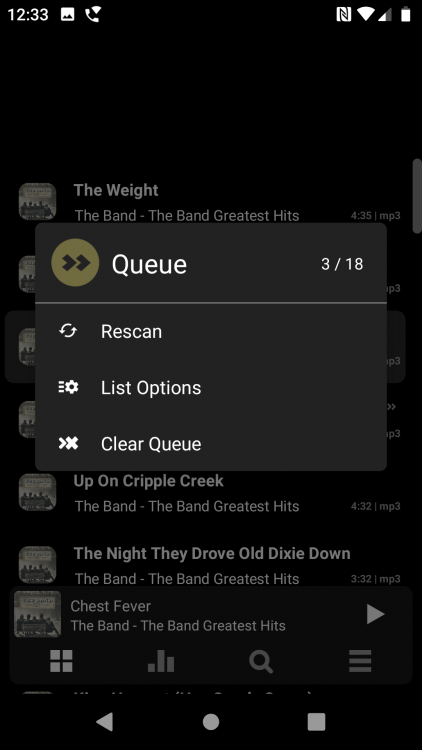 If I then add an album to the Queue it will be positioned to start on song 3 of the newly Queued album. If I then hit the Play button PA will finish playing the last playing song in the prior Queue and then move to the next song of the current Queue, in this case song 4. My guess is that when the Queue is cleared, both the position and count of songs in the Queue should be reset, but I believe currently only the count of songs in the Queue is reset and not the position in the Queue of the song playing when the Queue was cleared. I've just tested the scenario you describe. 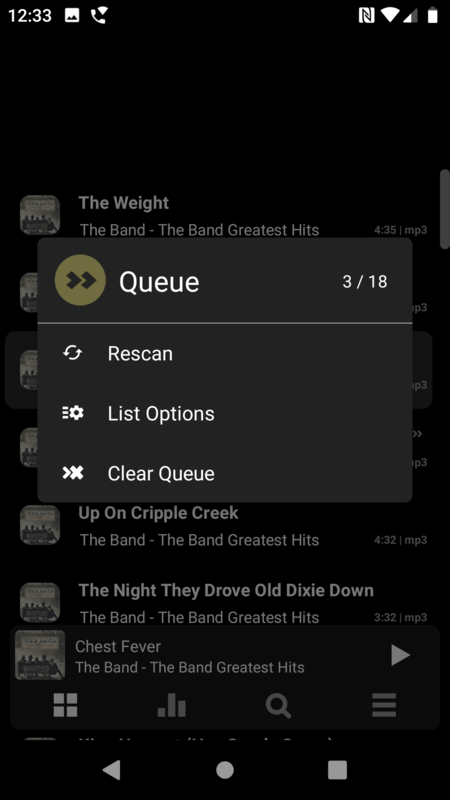 When you use the "Clear Q" feature, even if you are half-way through listening to a track in the middle of queued playback, the queue will be fully emptied and it will show the word 'Empty' at the top of the queue page and in the main Library view, not as position "n of 0". So did you see the issue? I also have set On queue end - Stay in queue. 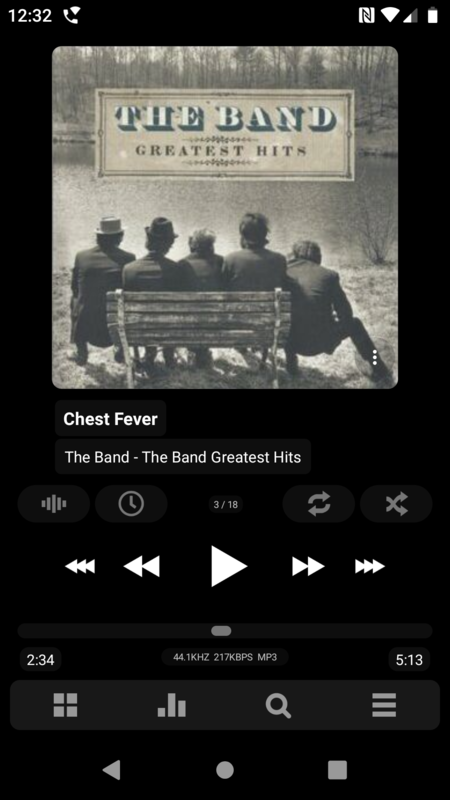 This example is working from Library -> Album Artists. I wonder if that is the problem? I don't have that option set. (To be honest, it seems a bit pointless staying in a temporary queue when you've finished with it). To each his own. The "temporary queue" is my main method of selecting and playing. I like to queue up a few albums at a time. I don't want to have the interruption while driving or working out of stopping what I'm doing and finding something else to play. With the Queue I can queue up 4 or 5 albums and let 'er rip. If the queue hasn't finished when I'm done, sometimes I'll clear it and start over. I don't want PA to take off playing something like random songs when my chosen Queue finishes. A great addition to PA would be to have a setting that restricts all music playing to using the Queue. Yes, it's the use of On Queue End > Stay in Queue that is causing the problem. I can duplicate the same effect as you if I select that mode and then clear the queue. 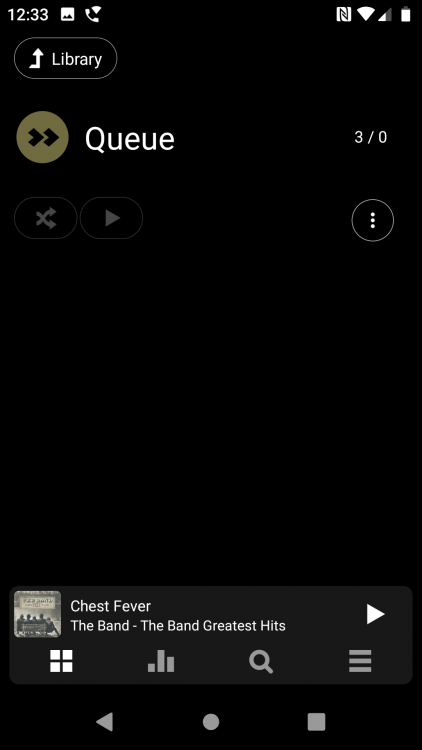 I guess it's probably somewhat to be expected: if you activate an option telling PA to always stay in the queue and then you manually clear it, the app is getting confused as once the queue is empty and of no further use it naturally wants to return to regular playback mode, but instead it's been told not to. So this is a bug. What should happen is when the queue is cleared both the queue item count and position of the queue should be reset. As it is now only the queue item count is being reset. Seems pretty straight forward. Yes, it seems to be a bug when the user opts to stay in the queue, and then clears the queue. Not sure whether that's a software bug or user error, but it could do with sorting out either way. For now though, just just turn the Stay in Queue option off. This will leave the Queue position alone if something is being added to a Queue that already is populated. These are just guesses as to what @maxmp uses for his variables. More helpful to allow it to simply show as "Empty" like it does if you clear the queue when in normal 'exit-after-finished' mode . Hopefully this will be addressed in a post 821 release. @w3wilkes thanks for the detailed report. To be fixed by 823.